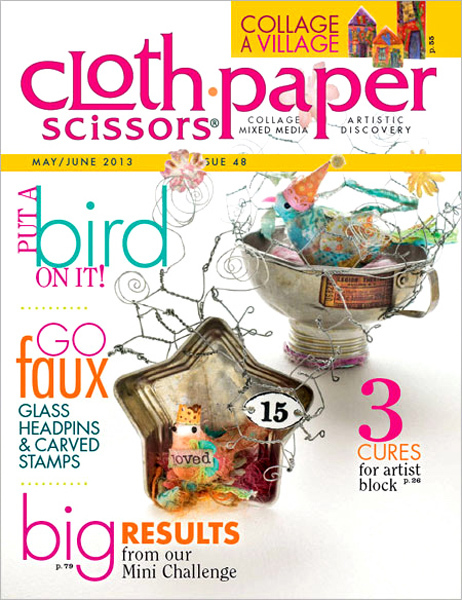 Check out the Great Grafix Challenge in the May/June issue of Cloth Paper Scissors! It’s time to take your crafting to the next level and challenge yourself with the Great Grafix Challenge featured in Cloth Paper Scissors! In this downloadable booklet there are 10 mixed media artists that range from jewelry making to assemblage. Creating a piece in their signature style using a combination of Grafix Shrink Film, Computer Grafix Transparency Film, Rub-Onz Transfer Film and Matte Dura-Lar Film. Pick up this issue on newsstands now to see a sampling of all the innovative projects! For detailed information, including interactive links to each artist’s blog, click the “download now” link on this page.